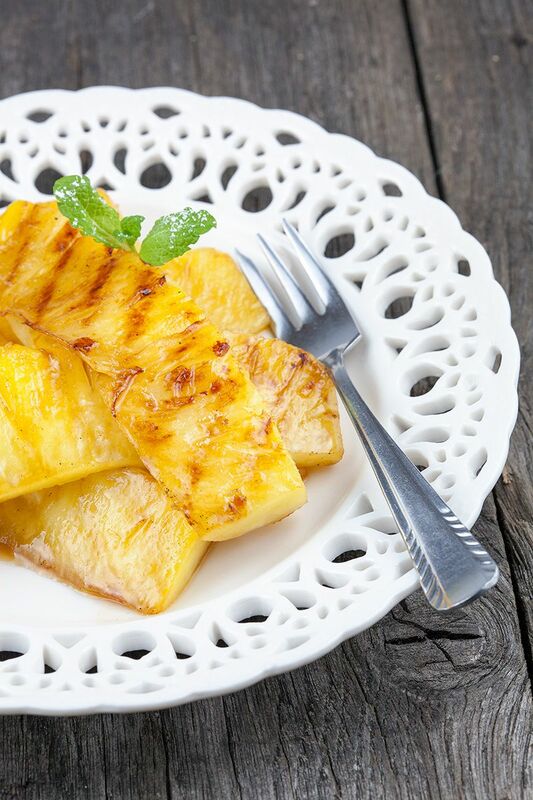 Have you ever met someone who doesn't love pineapples? 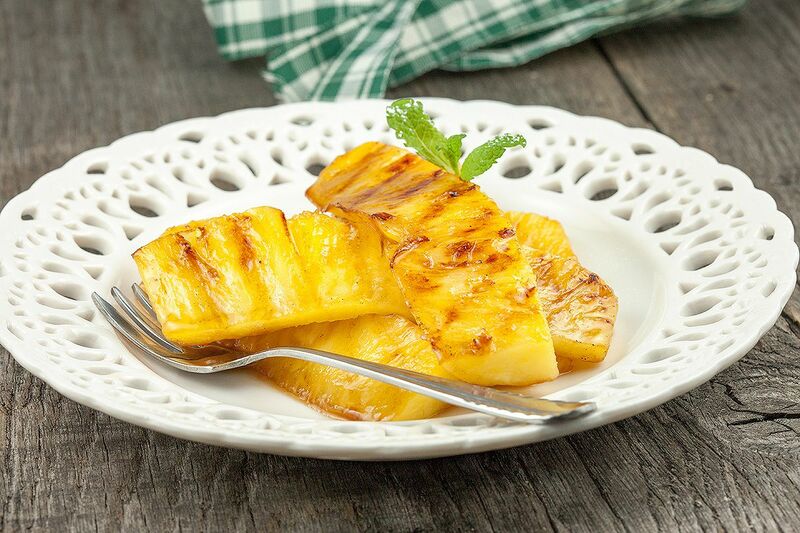 Especially grilled pineapple. So juicy, sweet and refreshing. Ready in about 20 minutes. 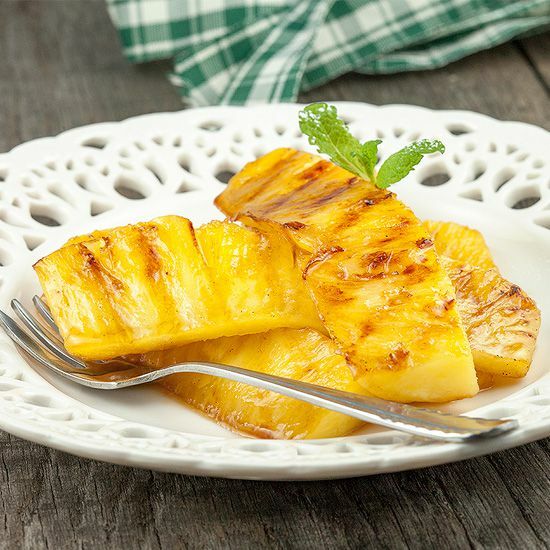 Use a sharp knife to cut both ends off the pineapple. PEEL the pineapple by cutting downwards with your knife. Now CUT the pineapple in quarters. CUT the quarters lengthwise to remove the hard parts in the middle. 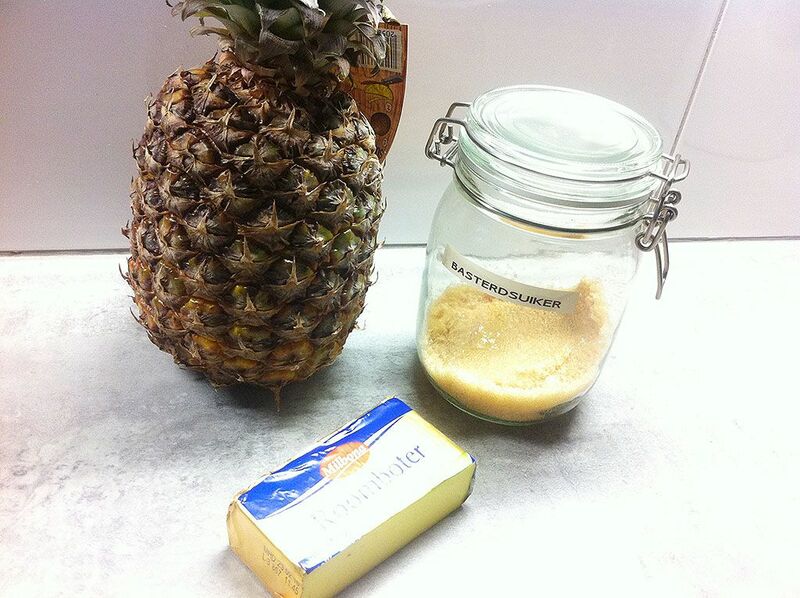 Now divide the quarters into strips of pineapples. MELT butter in the medium-sized pan on medium low heat. STIR in the light brown sugar until it’s a smooth mixture. Turn off the heat and ADD the pineapple pieces. TOSS until all the pieces are fully coated with the butter and sugar mixture. HEAT your grill pan on high heat. When the grill pan is hot enough, place the pineapple pieces into the pan. Don’t overcrowd the pan, it’s best to grill them in batches. GRILL them on both sides for about 3 minutes, or until the grill pattern starts to show. Enjoy with some vanilla ice cream or whipped cream and garnish with a mint leaf.